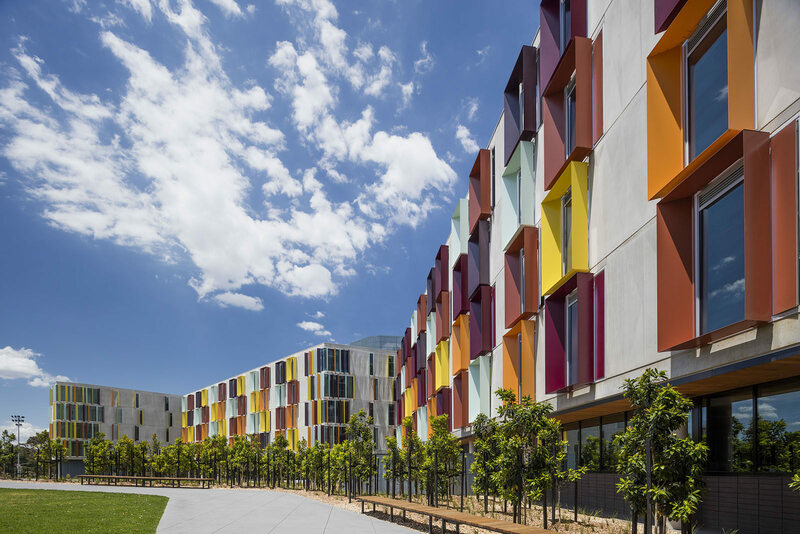 The Turner Building is one of four new Halls of Residence at Monash University’s Clayton campus. 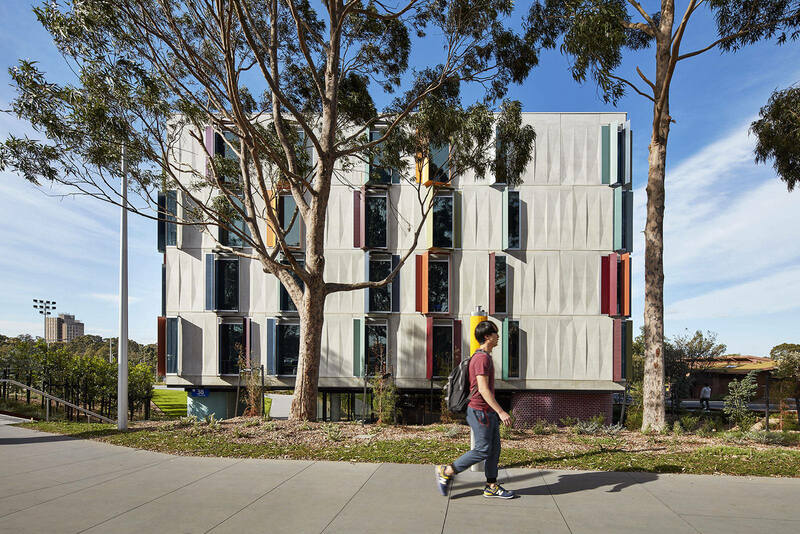 The design for the four new buildings were developed separately by three architectural firms, and deliver a total of 1,000 new student beds to campus. The brief for each of the buildings was to deliver 250 studio apartments, common areas, support spaces and all associated landscaping. The development as a whole has achieved a 5-Star Green Star as built design rating. 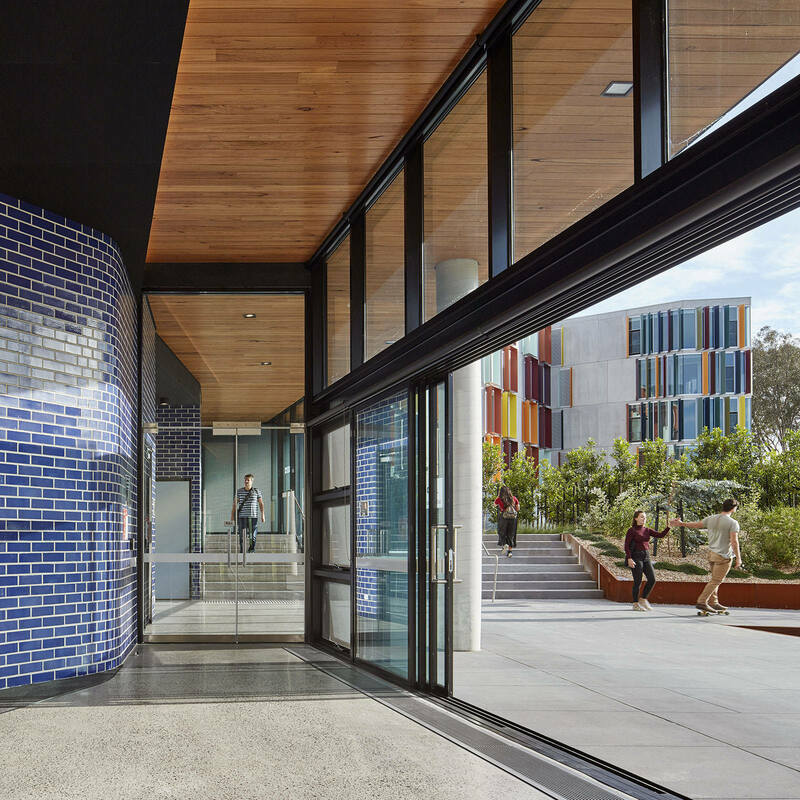 The design of the Turner Building fosters and celebrates the idea of the student community on campus. 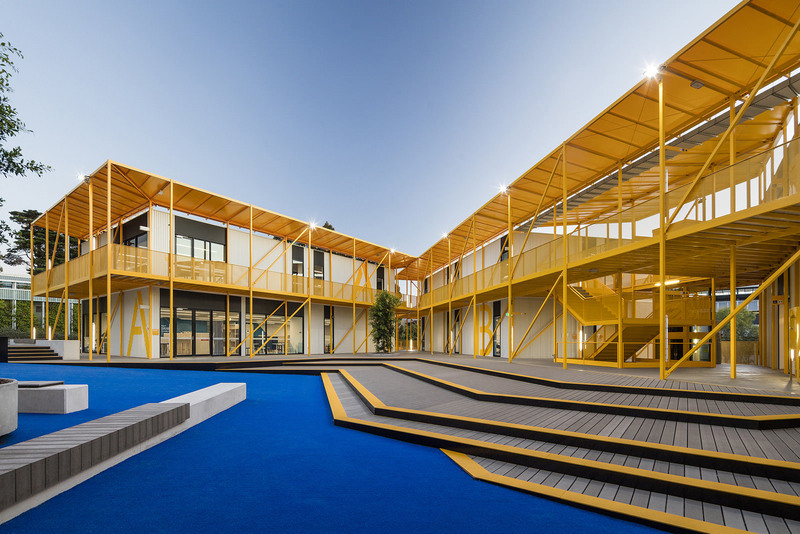 In plan this translates as a building that wraps itself around a landscaped courtyard. 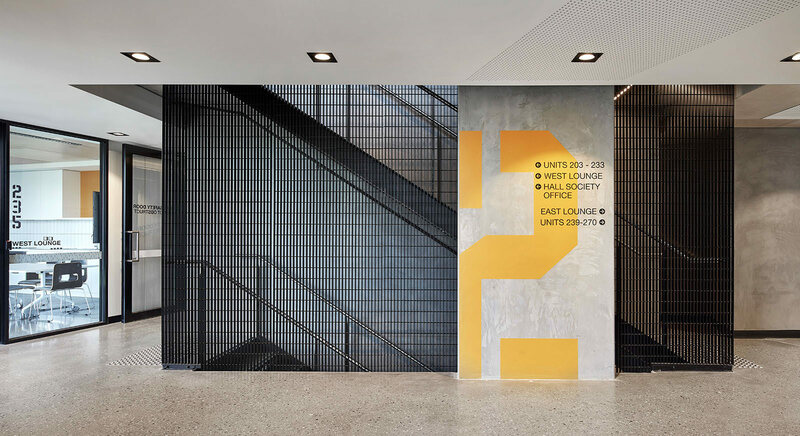 The main common spaces on the ground floor spill into the courtyard creating open, activated communal areas. 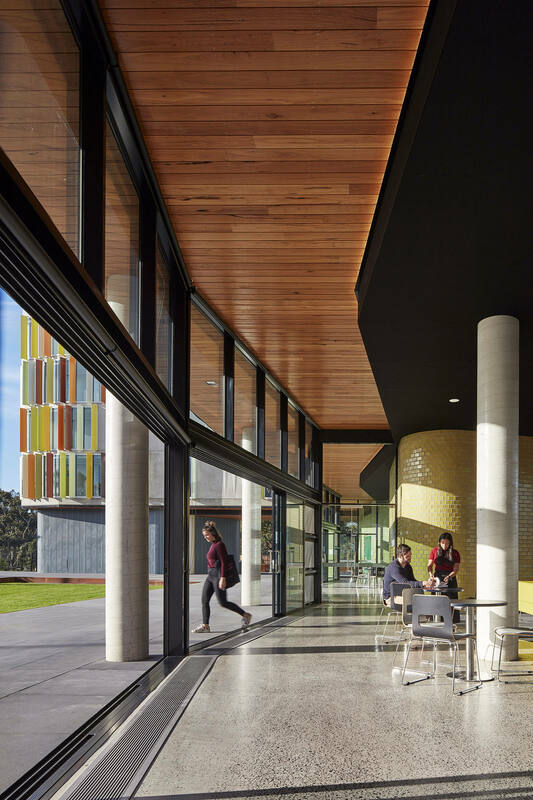 The building’s slender, linear form and cranked plan, along with generous glazing, provide ample light to floor-plates and views out. 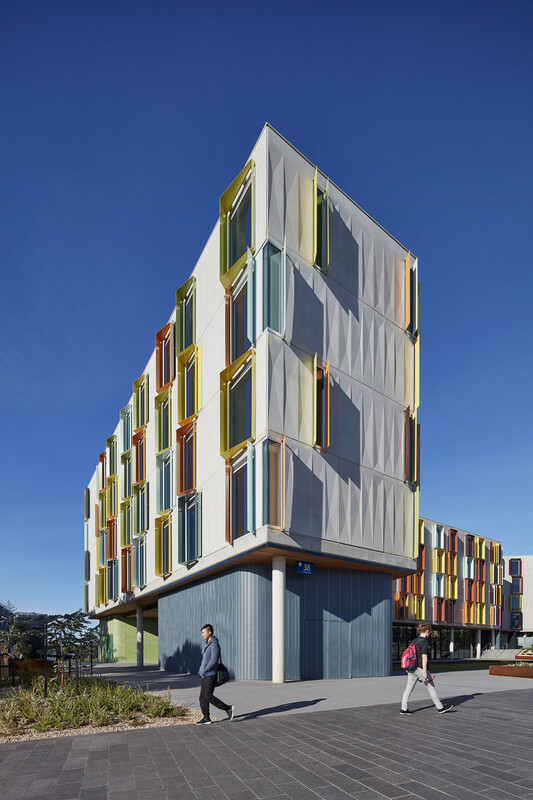 Each residential floor has two accommodation wings of around 30 student rooms. 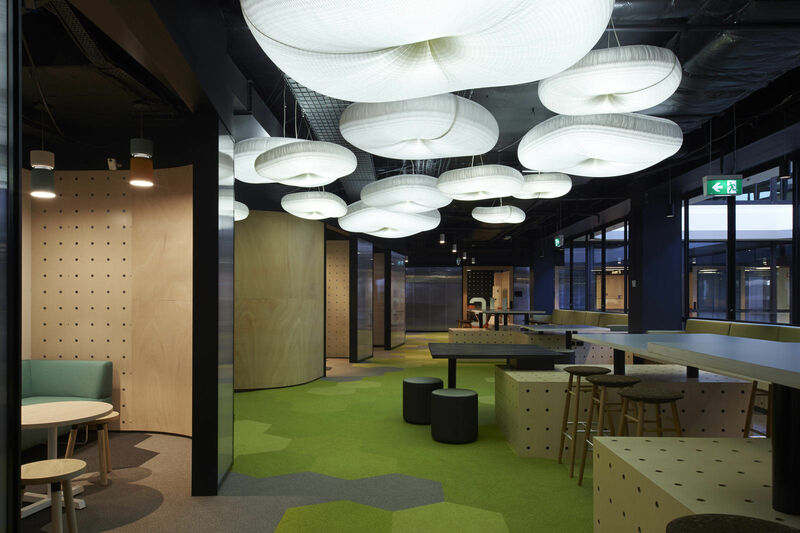 Each wing has its own floor lounge where smaller groups of students can gather, fostering inclusiveness and social interaction. 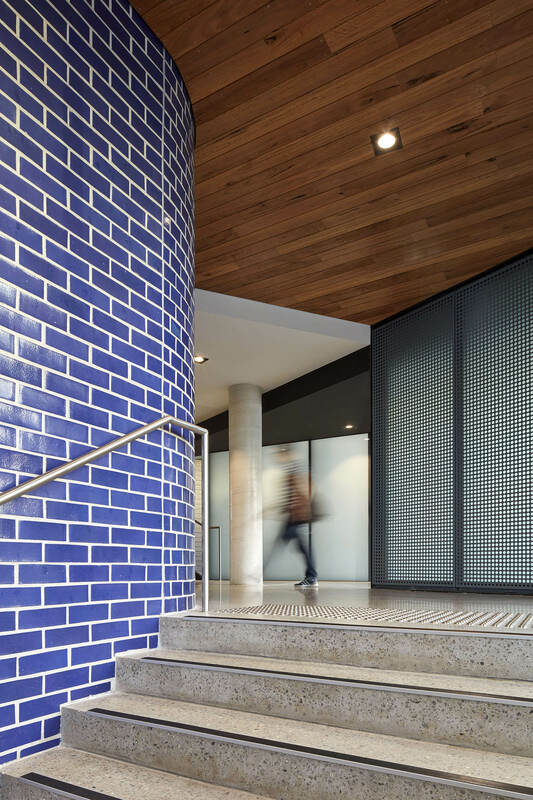 These robust communal spaces comprise a harmonious balance of materials including glass, glazed brickwork and polished concrete. 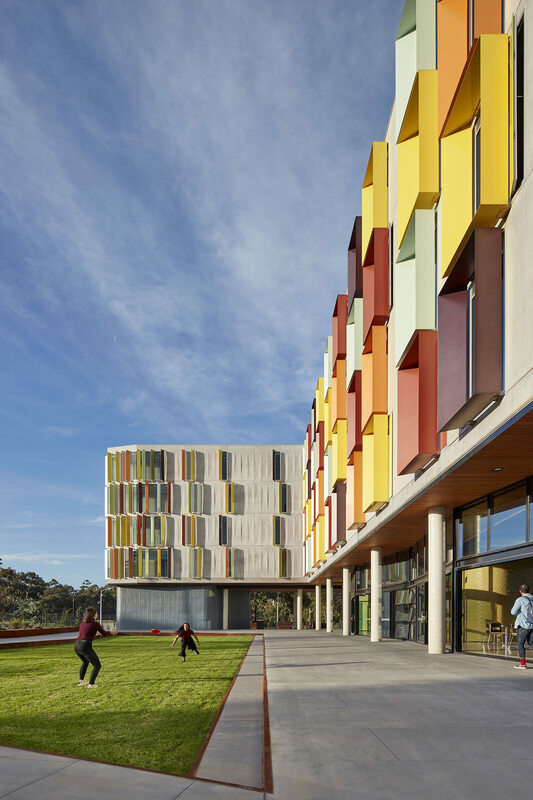 The bold, extraverted façade is festooned with a study in colour across the array of window shades. 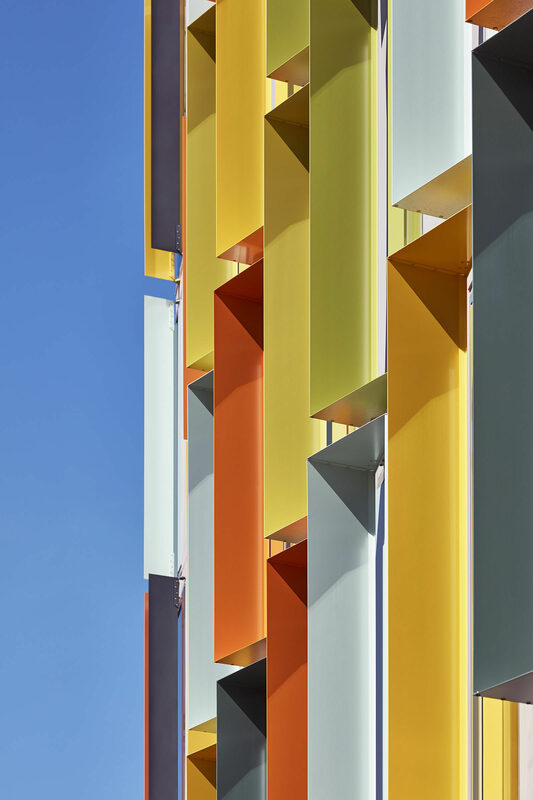 These leaf-like metal blades on the north and west elevations provide crucial shading with minimal compromise to vista. 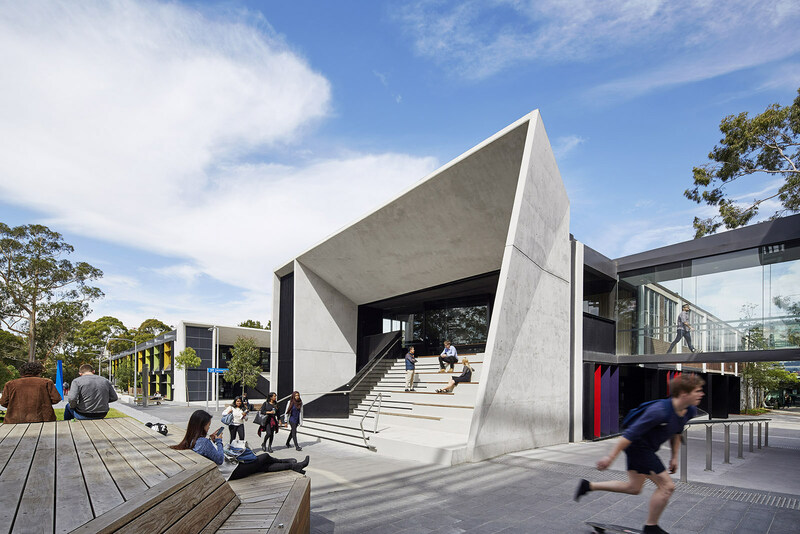 The playful and engaging nature of the building finishes are designed to create a building that students enjoy coming home to and are proud to live in.